Misty Hills Country Hotel offers a wide range of accommodation, delicious food, a very professional wellness spa and conference facilities with endless options. The Misty Hills Country Hotel is a 4 star sanctuary where you can discover yourself in a peaceful environment that encourages relaxation and personal rejuvenation. 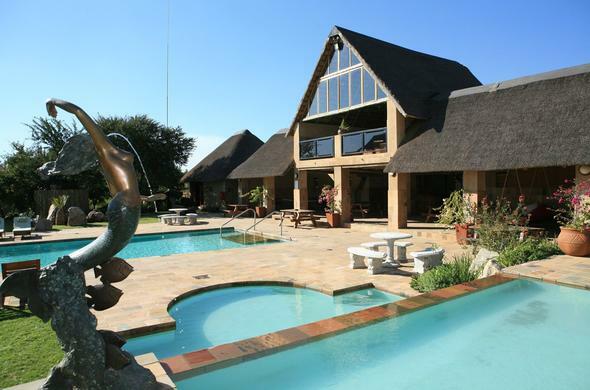 This Johannesburg Hotel offers comfortable accommodation, sumptuous cuisine and excellent service. Spa Treatments at Misty Hills The spa was designed as a sanctuary where you can rejuvenate your mind, body and soul in a serene environment that encourages relaxation. While staying at Misty Hills, guests can relax beside the rock pools, stroll through the unique Japanese Garden or enjoy a quiet drink at the Gin Box Pub. Other facilities include the giant garden chess board, tennis court and the curio shop.While the conference facilities have endless options making it perfect for the travelling businessman or for the person needing some tranquility and peace of mind.